In my previous post, I outlined the differences between Scrum.org and the Scrum Alliance. 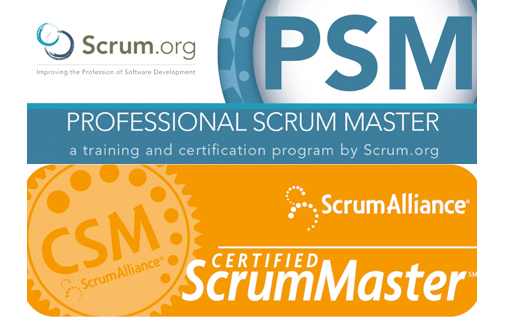 In this post, I will outline the differences between the Scrum.org Professional Scrum Master (PSM) vs Scrum Alliance Certified Scrum Master (CSM) certifications. One of the reasons Ken Schwaber left the Scrum Alliance and started Scrum.org was that he saw a lot of bad Scrum being done by Certified Scrum Masters. It used to be the case that if you attended a 2 day Scrum Alliance Certified Scrum Master course, you automatically gained the CSM certification. Lots of organisations then misinterpreted this to mean that these people were experts with Scrum, when in fact all it meant was they had attended a 2-day course. The naming of the “Scrum Master” role and the associated connotations of “Master” also contributed to much misunderstanding around what it all meant. The Scrum Alliance has since introduced an assessment, but this hasn’t made much difference as it is so easy, that almost no one ever fails it. The Scrum.org PSM certification is different. Attendance at a course is not mandatory. It is much tougher to achieve the PSM certification, so it guarantees a certain level of understanding of Scrum. Scrum.org assessments are based on the Scrum Guide created by Ken Schwaber & Jeff Sutherland. Scrum.org’s course material is standardised, created and maintained by Ken Schwaber and 200+ Scrum.org Professional Scrum Trainers. Each individual Scrum Alliance trainer creates their own material, so the quality is subject to significant variation. You can sign up to the mailing list at the bottom of every page on the site. 1. When was the assessment introduced? 2. How do you know if anyone has failed the assessment? 1, It was introduced in September 2012. 2. Perhaps that statement is a little too literal. However, my source for “almost no one failing” is here. I have also heard similar from CST’s and many CSM candidates. We will get separate certificate for each level or if we complete all 4 levels we get the certificate? PSM has 3 levels and you receive a certification at each level. Wanted to know any attempts are given for clearing the exam for each levels? Or each level should be cleared in one attempt. 1 payment secures 1 attempt. The only exception to this is if you attend a Scrum.org course in which case your course fee includes 2 attempts at the level I assessments under certain circumstances. Comment: I’ll echo Simon’s answer to DJ — almost no one ever fails the CSM. I took it and passed a number of years ago; it would have been possible to pass with only a couple hours of self-study. Plus, the whole renewal process appears to be just an annuity scheme for the Scrum Alliance (I’ve let my CSM lapse for this reason). Question: I’m looking to recertify with the PSM from Scrum.org and am interested in one of your courses. Some are flagged with a red icon, some are gray. Am I right in assuming the gray ones are not fully booked but the red ones are? If you’ve been doing Scrum for some time and are familiar with the Scrum Guide my course may not be necessary. You are of course welcome to join. However, I would love to meet you and help you to learn what Scrum is really all about of course. Try the Scrum Open assessment and see you how do and then decide for yourself if you should come along. Red means the course is filling (but not full) Grey means less busy, but things change quickly, so don’t wait too long if you plan to attend. Thanks Simon, will do. I appreciate the candor and lack of a hard sell. This is helpful. I was wondering if you had any insight in the different levels of PSM – and how these compare to the CSM; perhaps including the A-CSM and CSP-SM. 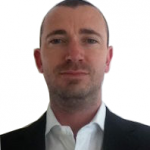 PSM I is (in my view) relatively straightforward – I was able to comfortably pass it with a bit of reading and working on the practice exams (in parallel, I’m trying to move my organisation to a more pure Scrum model). Anyone who knows a little bit about scrum and takes the exam seriously – and on it’s own terms (i.e. in accordance with the Scrum.org interpretation of Scrum) – should be able to pass. I’m now preparing for PSM-II – but I plan to tackle that in the same way (although there are not the same practice exams and the questions are less amenable to rote learning). PSM-III seems even more challenging – so this is where I might look to doing a course. I don’t have any practical experience of CSM – so I can’t compare them to the PSM certifications. I don’t think A-CSM and CSP-SM are assessment based so they are not directly comparable.